On Sept 29, 2018, the thick jungle near Ara village in the Salt Range echoed with a gunshot when the sun was about to set. After an effort of two hours, a team from the Punjab Wildlife Department arrested two poachers and recovered a male urial from their possession which was killed by them. The poachers had killed a male urial having horns of 24 to 26 inches which showed that they were after trophies to be placed in their drawing rooms as decoration pieces. Both the poachers, residents of Ara village, were poor but the officials of the Wildlife Department were left surprised when the poachers immediately paid a fine of Rs 110,000 on the spot. Later, it transpired that both the men had killed the urial for an influential person who owned coalmines in the area. This was the sole case of urial poaching in the last six months in which the poachers were apprehended. The poaching of urial has increased alarmingly. Influential people are involved in the practice who go scot-free even when they are caught red-handed. The hills of Salt Range, covered with thick forests, are the major habitat of Punjab Urial declared endangered by the International Union for Conservation of Nature (IUCN). To protect this threatened mammal, a national park, five wildlife sanctuaries and two game reserves were established in the region, consisting of four districts — Jhelum, Chakwal, Khushab and Mianwali — which fall between Jhelum and Indus rivers. According to the World Wildlife Fund (WWF) Pakistan, once the urials were present all over mountains in northern Punjab but for the last four decades its population has witnessed an alarming decline due to excessive and unabated hunting which prompted the IUCN to put the urial in the red list. In 2004, a survey showed that the urial population had witnessed 56pc decline since 1980 as its total population was recorded to be 860 in the whole Salt Range. This prompted the Punjab government to take measures to protect the population of urial. Patridges are another species that are poached in the Salt Range. 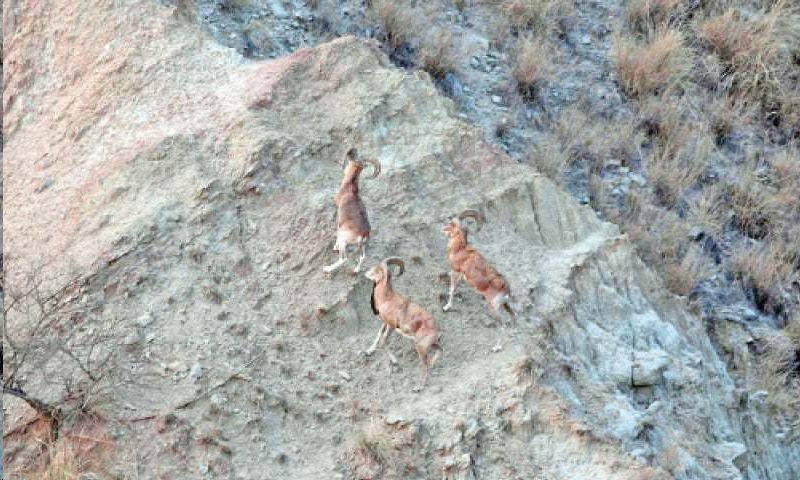 “Six years ago, a census survey of urial was conducted by WWF on scientific methods which revealed a considerable increase in the population as more than 3,000 urials were reported to have been inhabiting in the Salt Range,” a senior official of the wildlife department told Dawn. But wildlife lovers, villagers and even employees of the department said the population of urials was on the decrease again. “A few years ago while grazing cattle or hunting wild boars I used to spot a herd of urials consisting of 40 to 50 animals but these days only six to seven urials are seen in a herd,” said a villager who resides near Chunbi Surla Wildlife Sanctuary. Yasin Chaudhry, a traveller, said poaching of urial had become a business. “Some nouveau riches in Chakwal prefer urial meat. Local poachers also sell its meat, hides and trophies to wealthy people of other cities. One urial is sold at the rate of Rs100,000 to Rs200,000,” he said. In April and May, newly born lambs are also caught by poachers and kept as pets. The annual trophy hunting of urial is carried out in a secret manner as the wildlife department does not release its details. An advertisement is placed in newspapers inviting hunters to participate in the trophy hunting but later no official detail is given about the number of urials hunted and from which area. Foreigners participate in the trophy hunting and one permit for a foreigner is granted at a hefty rate of Rs 1.6m. But in 2018, locals also participated as the wildlife department fixed the rate of permit for them at Rs 0.5m. Five urials were hunted during the trophy hunting which was carried out in February. According to the Punjab Wildlife Act 2007, poaching of protected species shall be punished with imprisonment for a term which may extend to two years or with a fine which shall not be less than Rs10,000 nor more than Rs 50,000 or with both along with confiscation of the weapon and suspension of licence or permit for a period of five years. But so far not a single poacher has been jailed even for a month. The law gives permission to a wildlife officer to compound the offence on the spot accepting a sum of money as compensation. From March 2017 to Aug 2018, the district wildlife department had registered 190 cases of poaching in which only 11 cases of urial poaching were recorded while the rest of 179 cases were related to the poaching of partridges in which most poachers belonged to poor families. Out of these 190 cases, 146 were decided on the spot by the wildlife department and only 34 were decided by court while 10 remained pending in courts. Poaching of partridges is also on the rise in the district. Many poachers shoot partridges during night when the birds are resting on trees. 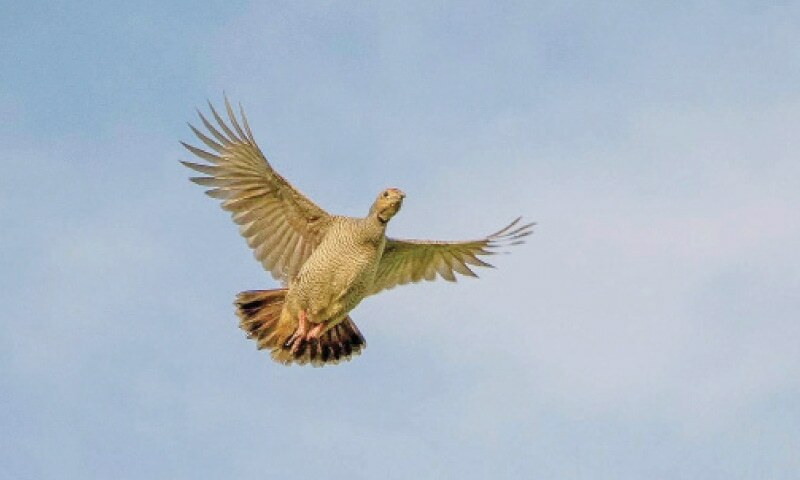 A fresh scientific census survey of urial and partridge population is urgently needed. “People who opt for urial poaching are influential and wealthy. They hire influential lawyers and courts only impose a meagre fine of Rs10,000 on them which does not hamper them from poaching,” said an official. He stressed the need for improving the existing law. “The wildlife department must have its own courts and the law needs to be made stricter,” the official maintained. When contacted, District Officer Wildlife Department Khalid Hassan Sahi said his department was trying its best to control poaching of Urial, partridge and other protected animals and birds. “Unfortunately a bad trend of getting trophies for decoration has started which is dangerous for urial. However, we are trying our best to nab the poachers,” he said, claiming that many influential poachers had also been arrested.